Mother’s Day is a few weeks away (March 15th this year) but that doesn’t stop us wanting to craft around the theme. 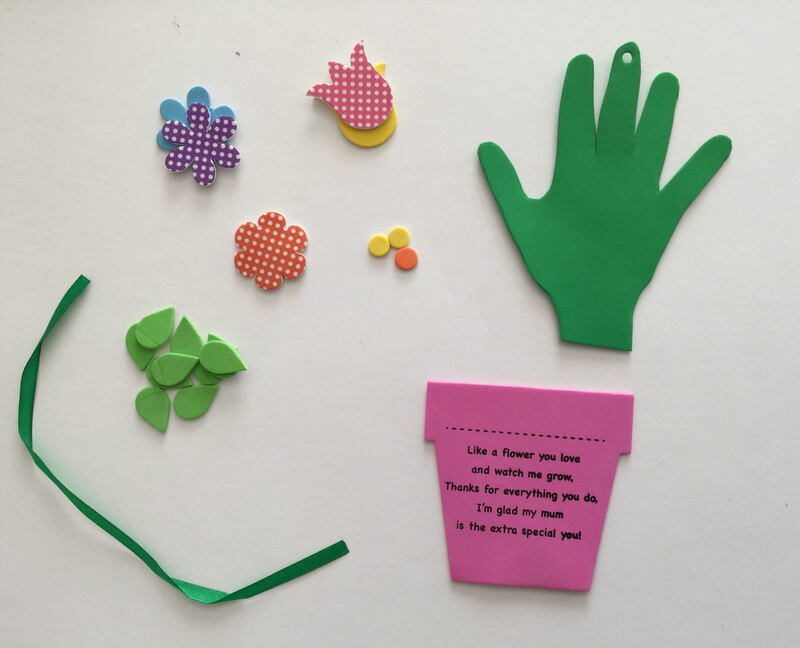 We love hand print art and found a super sweet kit that does all the hard work for you. This little kit comes with printed Mother’s Day poem, foam pieces and ribbon. 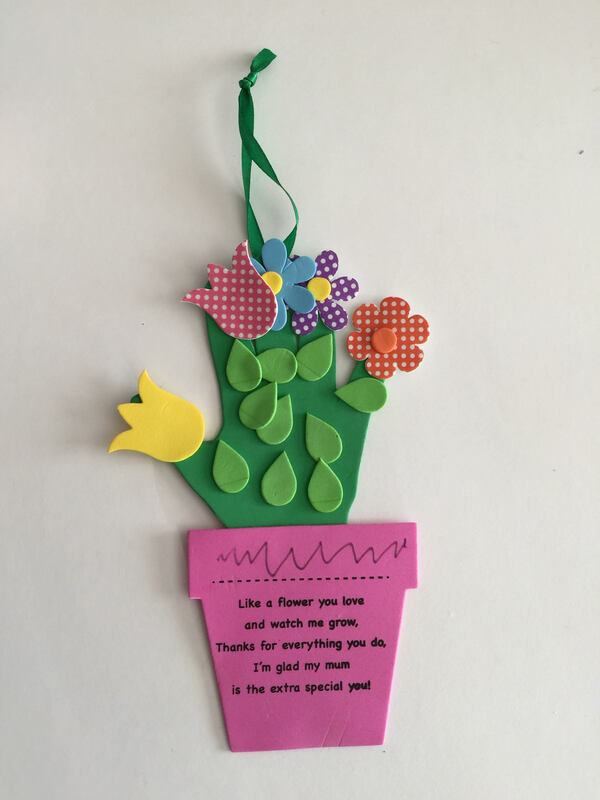 It is easy to make a personalised card, simply draw around your hand onto the foam and cut out to make your flower. There’s a sweet poem and a line to write your name printed on a foam flower pot. Of course, my children wrote their own names but that makes these keepsakes twice as nice for me to keep. The kits come with a ribbon to hang them or you can leave them as a stand alone Mother’s Day decoration. 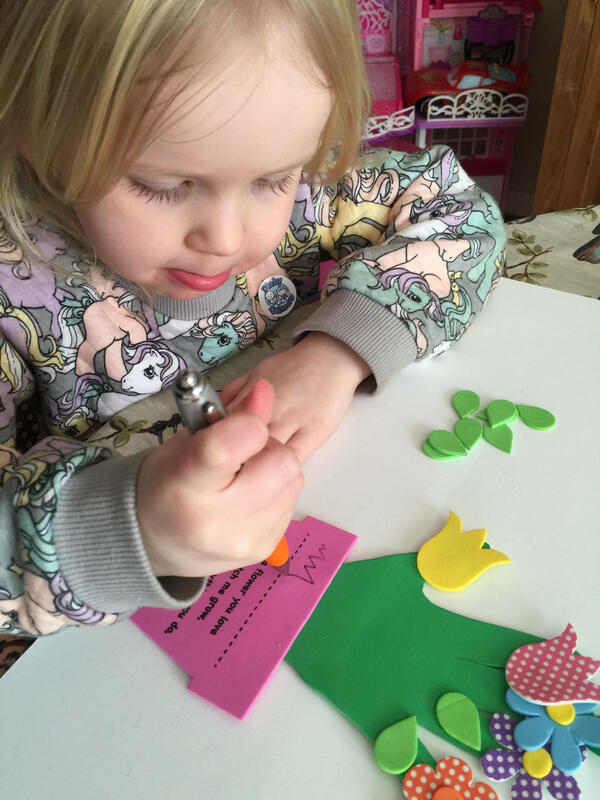 The Spring flowers are so colourful and easy for little finger to make. 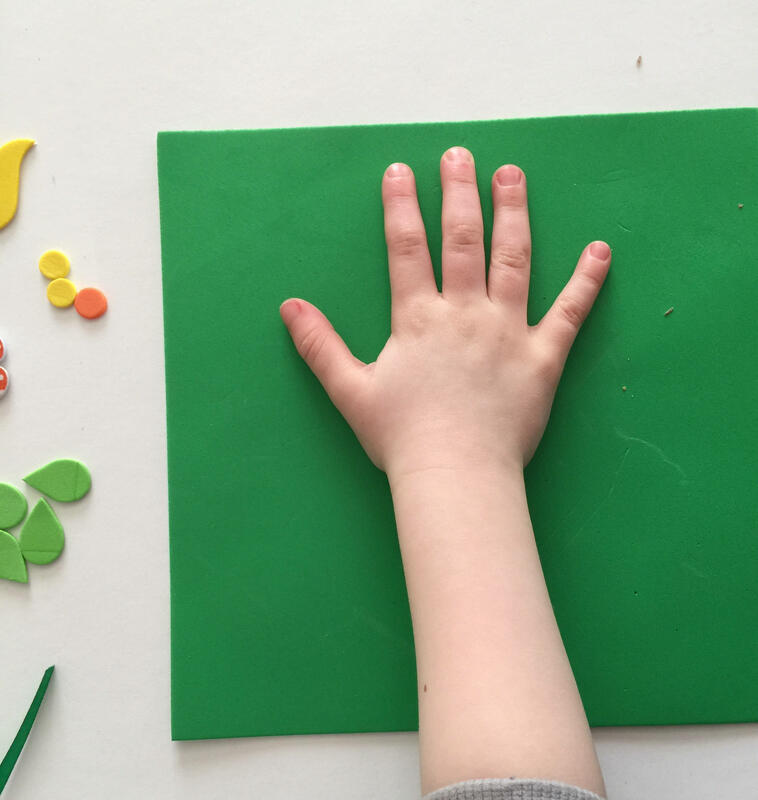 Oh this is so cute – what a lovely toddler craft!